It's like, what, the second day of Spring Break here? Not that I mind, exactly. I love rain. We did plan to hike Yellow Rock Trail, up at Devil's Den, but, you know, I'm sure the rain will stop at some point. We're also going to see the Van Gogh exhibit up at Crystal Bridges, and maybe I will clean this house a bit in advance of Passover (all our friends are coming to be afflicted with us a Passover again this year). So if it did stop raining, at some point, that would be pleasant. Meanwhile I am drinking PG Tips tea and writing a new story which might come to something. I have (finally!) written a new Grounded Parents post. This one is On Being a Helicopter Parent. I hate the art with this one tons, so instead of using it, I have used ENTIRELY DIFFERENT art instead. Why didn't I use this art at GP? Excellent question, to which I have no answer. As always, these are just the books I'm currently reading which I like a lot -- you may assume the presence of several (even possibly several dozen, since I don't usually finish books that bore me) books I read that are not on this page, for some reason or the other. These might be books that made me go meh. They might be books I found annoying or silly. Books I find actively horrid or harmful I will often blog about, OTOH! 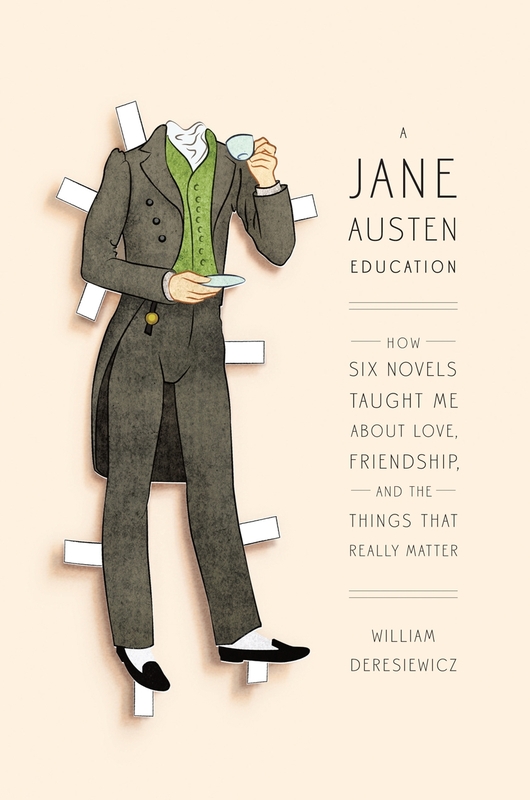 A Jane Austen Education, William Deresiewicz. This is the book I am currently reading, and I do recommend it, though with reservations. The plus: Deresiewicsz provides a readable, engaging text, and it is filled with genuine insight about Austen and her novels. If you are an Austen fan (as I am) you will find this book a wonderful and worthwhile romp. My own favorite chapters are those on Mansfield Park and Persuasion, no doubt because those are my two favorite Austen novels; yet the opening chapter, in which Deresiewicsz recounts his own reading of Emma, and how it taught him to read Austen -- or rather, how Austen's brilliance taught him to read the world in a new and better way -- is as deftly constructed as a detective story. So, you know, so much fun. And yet. And this isn't even a big problem. You can get past it. But holy hell, the sexism. You'll be glad to know, for instance, that Jane Austen can play with the big boys. That she's worth reading, even if she's a woman. That her style -- girly though it is -- is "every bit" as good as anything the men write. Some of this is probably exaggeration for effect. Let's hope. Nevertheless, it does grate on the nerves. And I could have done with hella less of it. Anyway! Mars Evacuees, aimed at middle-grade readers, is a romp, more than a Very Serious Book Indeed, though it has its serious bits. Its main character, Alice Dare, is caught up in a long-term war, between Earth and alien invaders who have taken over the planet after fleeing their own set of alien invaders. As the book opens, Alice and several hundred other children are being evacuated to Mars, to be trained as the next generation of soldiers to fight the alien invaders. Alice doesn't especially want to be a soldier, but is realistic enough to know she doesn't have much choice. Saga, Brian Vaughn and Fiona Stapes, Book 4. Also very episodic, as it would have to be. It's a graphic novel. We're well into episodes. 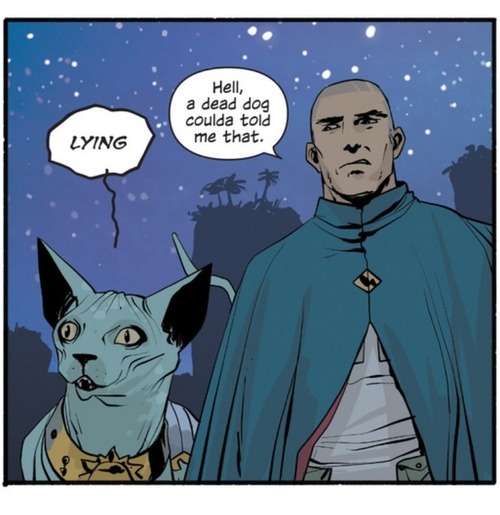 This has beautiful art, and great characters -- I think The Will might be my favorite, though who knows, it's hard to choose, Izabel (the adolescent ghost who is only half a girl, due to being killed by a landmine in the planet's war) is great, and you gotta love Sophie, and Lying Cat -- who can't love Lying Cat? Not much advances in the plot in this episode of the book, but nevertheless we have a lot of fun. And I am always willing to spend time with these characters. This is Book 4. If you haven't read Books 1-3, what are you waiting for? TBH, as the kids say, I only bought this one because it had a story by Eleanor Arnason in it. Still, well worth the ticket, if only for the Arnason story, which -- as you can count on when Arnason is writing the story -- is wonderful. 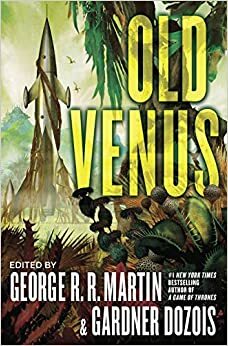 The conceit of this anthology seems to be that we re-imagine a Golden Age Venus, from SF of the 1930-1960s, before we knew what Venus was actually like. The writers have found various ways of doing this. Arnason postulates an alternative history, and includes -- as she did in her Women of the Iron People -- a (slightly) more successful Soviet Russia to go along with it. The tension between Capitalist and Communist ideology playing out in the company towns of Venus gives force to Arnason's story, "Ruins." The story also features the group of characters which is her forte -- Arnason does this multi-character story really well. My favorite character here is probably the baby pterosaur, named Baby (really a pseudorhamphorhynchus, though he disputes the pseudo bit); though Arkady is a close second. And who could not also love Maggie, our Autonomous Leica? Other stories I liked a lot in the book include Tobias Bucknell's "Pale Blue Memories," about why you can't just start a slave revolt or run off from slavery (I am probably not wrong in reading a reference to Heinlein's "Logic of Empire" here); Gwyneth Jones' "A Planet Called Desire"; and (mostly for its ending) Joe Haldeman's "Living Hell." 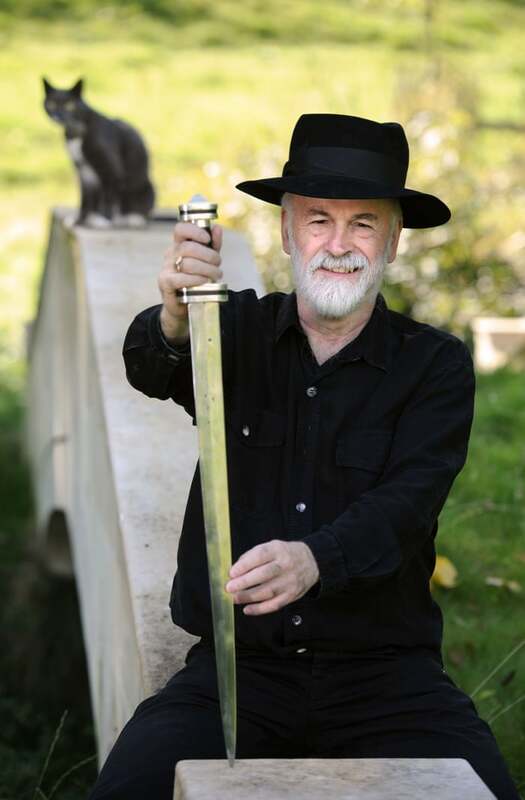 Right now I am just reading a lot of Terry Pratchett, that's all. Consent: Not actually that complicated. The new issue of Crossed Genres is up! This month's issue, Issue 27, is Ensemble. 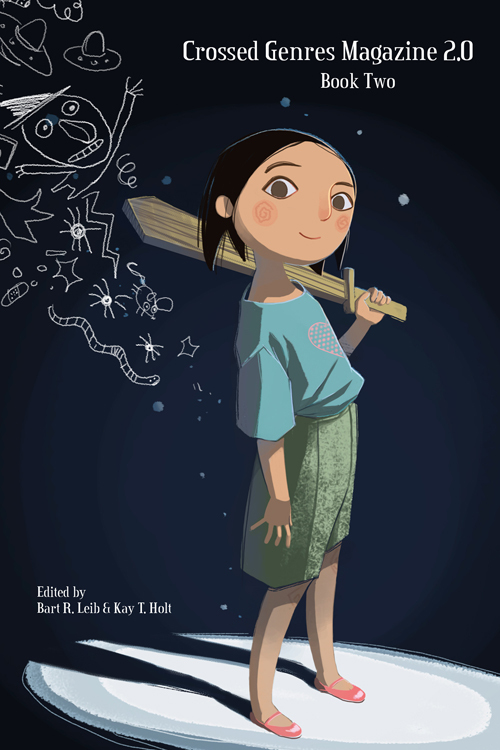 From Peni Griffin, a magical story about family and families, of all kinds: "Quiet Hour." And from one of my favorite writers, Tais Teng, a tale of life in the near future, "Any House in the Storm." Or rather with telling fact from opinion. If your education was like mine, your grammar school teachers spent a small amount of time teaching you the difference between fact and opinion. 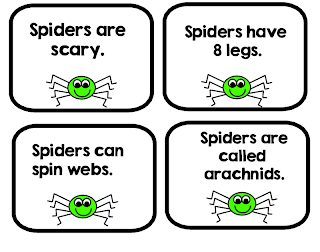 You probably remember, as I do, the worksheets and the games. Chocolate is the best ice cream -- fact or opinion? Kansas is a state in America -- fact or opinion? Wood will burn in a fireplace -- fact or opinion? Crash is the worst movie ever -- fact or opinion? What could possibly be controversial about this, you wonder? Ha. This is because you are not a Far-Right Religious Conservative. Rod Dreher explains to us that this is a very offensive and incorrect division, which will teach our young students to think "chaotically." Well, he says -- or at least links to Justin McBrayer (a perfect name) who says, and then agrees with McBrayer -- that this fact/opinion division is incorrect. The example he gives is life on other planets. You can't prove that there is (or is not) life on other planets, and yet there may well be (or not be) life on other planets. This, of courses, misses the entire point of the exercise. We don't need to be able to actually prove the thing; we just need to know whether we could prove the thing. Let me give McBrayer an example closer to Earth. 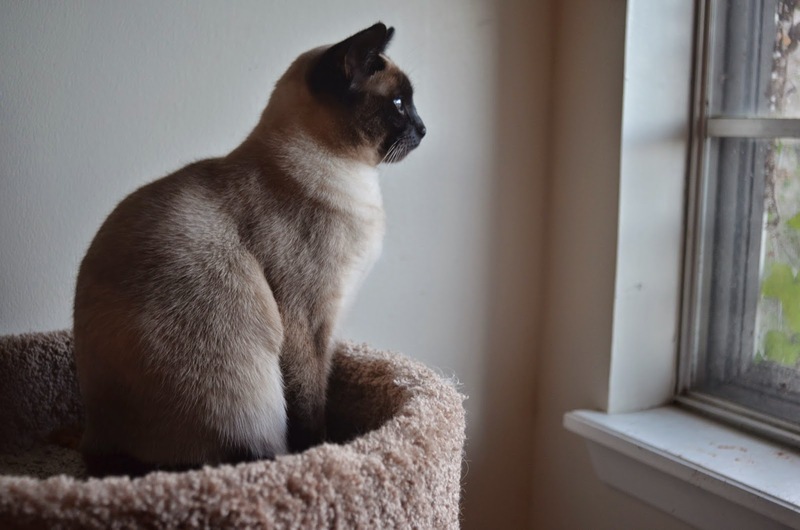 My cat weighs 11 pounds -- fact or opinion? Do y'all need to actually weigh my cat to know whether that is a fact or an opinion? No, Socrates, you do not. You don't even need to know whether it is true or not. Its truth is something we can determine, and will want to determine if we are good critical thinkers -- but whether it is a fact we can determine by its nature of being verifiable. I can, that is, in some way, in the future, find out whether it is true. Now it is true that at this moment we can't determine whether there is life somewhere else in the universe. But I can visualize ways in which that question can be factually determined. This is different from "My cat is the prettiest cat," which is opinion*; or "A beach vacation is the best vacation," which is a matter of taste, or "Jesus is God," which is a matter of faith. None of those can we imagine any criteria, now or in the future, for factually determining. Rod Dreher goes on to object to the fact/opinion binary, arguing that this division makes morals not-true. But this too is specious. The only one putting ethics and morality into the not-true* box is McBrayer and Dreher and, frankly, the other Far-Right Religious Christians. I have never once heard an atheist or a Secular Humanist do so. Far-Right Christians love to set up this dichotomy -- to claim that if you don't believe in their Jesus, you can't possibly behave ethically or morally, because without Jesus and God there with their Code Ethics and their threat of Hell, no one would ever behave. And yet, children raised with reason and empathy tend to be just fine morally -- often, much better than children raised with the threat of hellfire. They're almost always much better at critical thinking, also, which is no surprise, since they're encouraged to argue and talk back, to question authority, and to engage in reason-based critical thinking. And no, they don't think "Treat others as you'd like to be treated" is "not true," or that "Don't kill people" is just an opinion, or that "Don't be evil" is something you can take or leave, depending on how you feel that day. Though, frankly, from some of the posts Rod Dreher has posted lately, that does seem to be his moral stance. ** How, I have heard Far-Right Religious folk demand, can we Secular folk know that our ethics and morals are correct, if we don't have a God to tell us they are correct? This answer is simple. It is the same reason we know that the cat is on the mat, or that gravity is true. We know that our ethics and our morality are correct because they work. This is also -- no big surprise -- how we can tell when our ethics are not correct. We do what is right so long as it is right. When it stops being right, this is a signal to us that we should stop doing it. You will note that Far-Right Christians have a problem with the second part of this formula. They will just keep right on doing what they have been told is "Right" even when everything around them shows clearly that it is definitely wrong. And they will insist that it must be "Right," because their God and their Code Book says it is "Right," no matter how many people are being hurt, and no matter how badly those people are being hurt. You would think eventually they would learn. But not so far.